Online casino games continue to exhibit growth in the US market, although in recent years the growth has slowed down somewhat, the introduction of enhanced gaming experiences is set to drive the industry into overdrive. Clearly, in order to increase traffic, volume, and profits, online casino owners must take advantage of the best casino software platforms offered by pay per head casino operators. Ace Per Head offers an effective white label solution that enables you to start an online casino business from scratch in minimal time. Their white label solution, provides you with a custom-made website built to your specifications featuring your logo and brand name, from your players perspective the site will seem like a completely standalone operation. What are the Benefits of AcePerHead.com White Label Casino Solution? When deciding to venture into the world of online casino games, there is a lot to consider in regards of benefits and drawbacks of a white label solution. Thankfully when you partner up with www.AcePerHead.com as your pay per head casino provider you get a lot more benefits than with other competitor sites. A software gaming platform that was built with a focus on security, stability, and enhanced player experience. If you want to tap into the online casino industry, there are different options offered by www.AcePerhead.com, choosing which one is best for you, depends largely on your circumstances, budget, and time limitations. 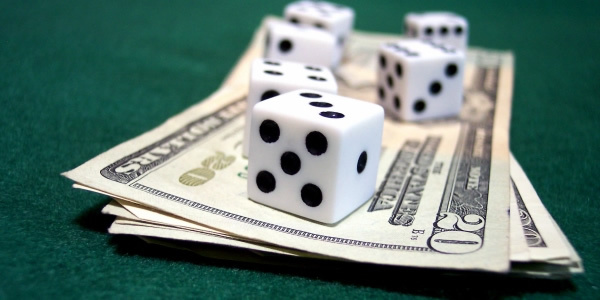 For those agents who have a limited marketing budget and don’t have a sizeable player sheet to begin with, then the most advisable course of action to enter the online casino market is to utilize the default domain provided by Ace Per Head, set up is done in a matter of minutes and your players will enjoy a great gaming experience. The main drawback of this model, is that you won’t have a personalized online presence, however, you can always switch to a white label solution down the road, when you have more players and a larger marketing budget. Agents, who have set aside a marketing budget and/or have a good number of casino players to start with, will benefit more from starting with a white label solution, that offers you the possibility of having your own online casino brand. Short time to market- with the help of our expert design team your custom-made website can be done in a matter of days, setting up your players can take as little as 20 minutes, and you are ready to go! By having all the technical and admin aspects being handled by the professional staff at Ace Per Head, you will have a lot more time to focus on spending your marketing budget in the most efficient way. The enhanced player experience will help you retain more customers and quickly grow your player base. You will safe a ton in software licensing and payroll by using a white label casino solution compared to building a casino brand on your own. As mentioned before, www.AcePerHead.com offers two completely different casino gaming experiences for players. Agents can choose to offer only one or both options. The pay per head casino software used by Ace comes with suite of very secure and stable virtual casino games, that gives players a lot to choose from. Tons of slot games, video poker, blackjack, Pai Gow, baccarat, roulette, craps and more. They all feature incredible graphics and sound effects, to keep your players entertained for hours on end. Most importantly, the software provides detailed reporting on all the activity in the casino, player reports, game reports, profit reports, etc. Everything you need to effectively manage and promote your business is available with a click of a button. Online casino players, are looking for the most realistic gaming experienced possible, the feel of a real casino is expertly recreated in the live dealer casino games offered by AcePerHead.com. Roulette, Blackjack, Baccarat, are among the games offered in our live dealer casino, which is handled by beautiful expert Costa Rican female dealers. The games are streamed in HD video in real time; your players won’t have any doubts about the games being pre-recorded because they will be able to interact with the beautiful dealers. In between games, players can chat with the girls, there are rules of engagement that need to be followed to keep things fun, but, the thrill your players will experience by interacting with these ladies in real time is something you won’t get anywhere else. The live dealer casino backend, features recordings of every hand dealt making it fast and easy to resolve any disputes. It also comes with a full range of reporting available to agents, so you can make informed decisions about the future of your business. The best part of the pay per head casino platform offered by Ace Per Head is that, players can access both platforms (virtual and live) from the same account. The single wallet or account approach, makes it easier for players to move between platforms without having to request their balances to be transferred. This provides an additional freedom to the player which translated into a more enjoyable gaming experience. As an agent, you can make individual player decisions, regarding their balance, limits and whether they can access the live dealer casino or not. As mentioned above, it is your decision to offer one or both platforms to your players. Don’t wait any longer, crush your competition by signing up as an agent with the best pay per head casino provider in the business today, contact www.AcePerHead.com and find out more about their competitive pricing and how to get your business off the ground today! Virtual Casino: Slots, Pai-Gow, and more! Pick your favorite from several differently-themed slot machines! You can also pick from Keno, Video Bingo, several varieties of Video Poker, Baccarat, Craps, American Roulette, Pai-Gow, and more! Works on your computer, phone, or tablet.